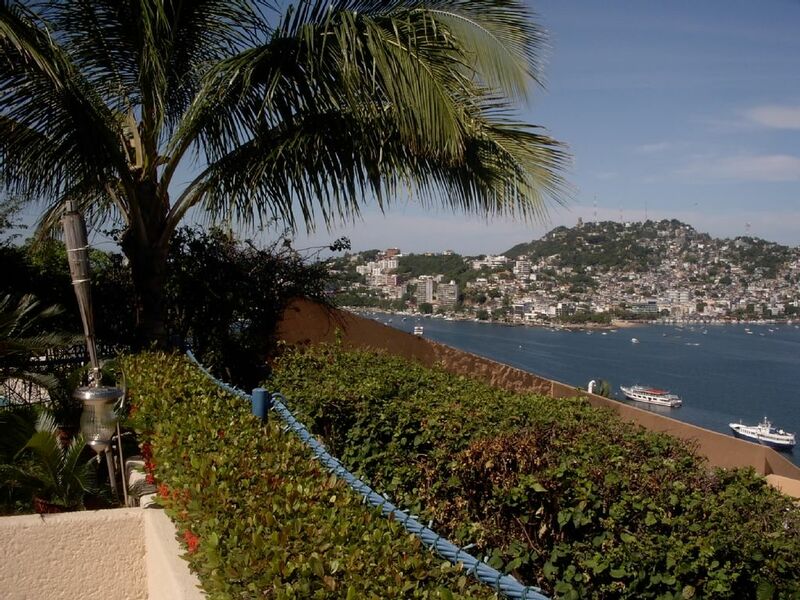 Enjoy your private oasis with breathtaking views of the Acapulco Bay, while watching the ships sail thru. Lounge in the pool with a jacuzzi and a wet bar. The dining and living area opens to a huge terrace area with a barbecue grill. Be spoiled with a maid/cook and houseman who aim to please and cater to your needs. Kitchen comes fully equipped with granite countertops and stainless steel appliances. All 4 bedrooms are air-conditioned, have own ensuite marble baths and walk-in closet. For more info, please click on the link below. The house is in a quaint area called Caleta, also known as the 'Old Acapulco'. It is in a private residential area, yet minutes away from the beaches, restaurants and downtown area. Taxis and buses are easily accessible to get around town. My family (Husband, a 7 year old boy, Mom, Sister, Aunt, Uncle and cousins) went too celebrated Christmas at the house. The helpers Gustavo and Veronica were wonderful. Gustavo went beyond attending us and Veronica cooked us delicious meals. We enjoyed the house 100%, the view is just spectacular! The house is beautiful, very clean and maintained. The only think is the heater for the pool does not work, so we could not used the pool at night. (Acapulco has a beautiful weather all year long, just in December get cold at night). We went out to a restaurant one night, but there is not need to go anywhere! We definitely would rent the house again. Thanks Esther for the wonderful review. I will be sure to mention your review to Gustavo and Veronica next time I visit the house. The house is wonderful and comfortable. It looks just like the pictures. The staff (Gustavo and Veronica) are wonderful and took great care of us. Make sure you have Veronica make you some pozole! Big and comfortable house. Big outside space with a nice swimming pool and unbelievable and fantastic view of the Acapulco Bay. We had a great time as a family, thanks to Gustavo and Veronica who did eveything to make sure we had perfect Holidays in the Villa. Exelente casa hermosa vista, el servicio de Gustavo de primera quedo muy contento y satisfecho.